Some people never leave the house without a sweep of mascara. For others, it’s a swipe of lipstick. But for me, it’s a slick of eyeliner! I do actually leave the house without make-up on a regular basis (are beauty bloggers allowed to admit this?! ), but if I’m venturing more than a couple of MTR stops away and if there’s a chance of being seen by anyone that matters, out the eyeliner comes! 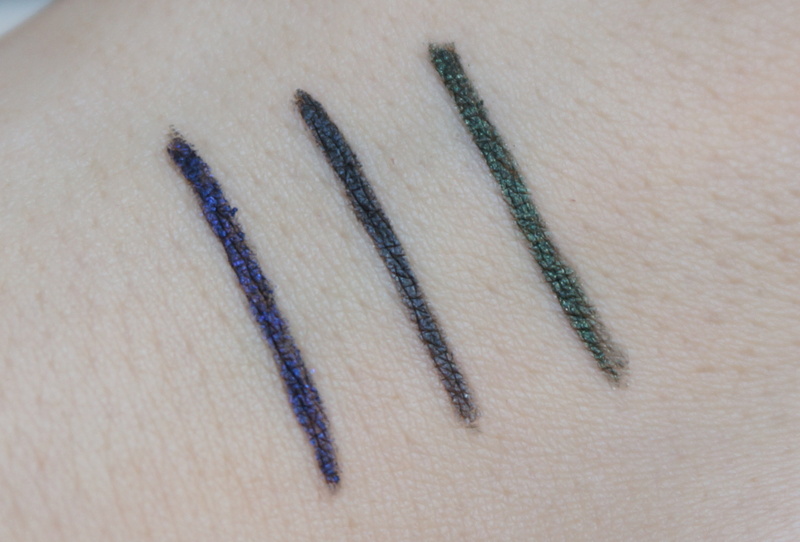 As a result, I have two go-to holy grail eyeliners – Clinique’s Brush-On Cream Eyeliner in Smoke Grey and Urban Decay’s 24/7 Glide-On Eye Pencil in just about every colour under the sun. 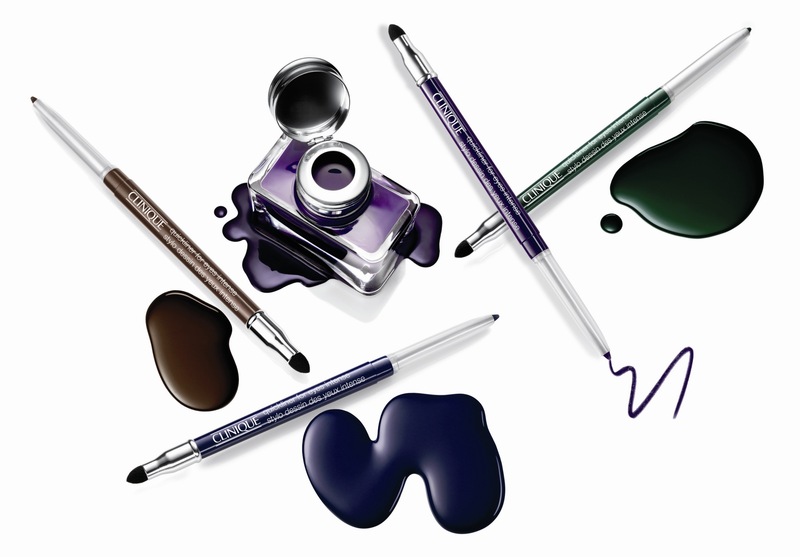 But I’m always on the hunt for more… enter Clinique’s Quickliner for Eyes Intense. This summer is all about neons. The other day on the train, I spotted two girls who looked like they’d got dressed with the sole purpose of glowing under UV lights at a rave – fluorescent yellow vest top, fluorescent pink bandage mini skirt, it literally was like they’d coloured themselves in with highlighter pens! For those seeking a slightly more subtle take on the trend, a pop of neon nail polish is your best bet. 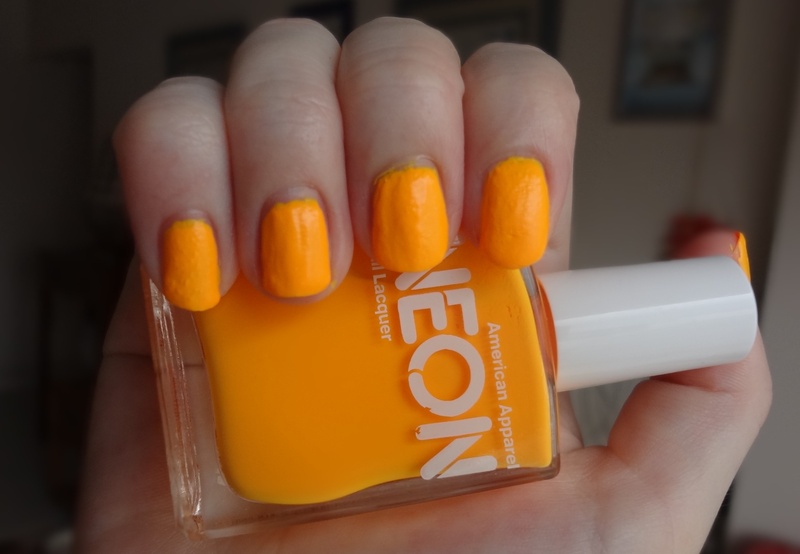 China Glaze, Essie, OPI, Orly and even Deborah Lippmann have all jumped on the bandwagon with neon collections hitting the shelves in time for summer. However, American Apparel got there first with their neon collection last year – and luckily, I have a prime make-up mule Nunu to supply me with such fluro goodness from across the seas! I already showed you Neon Coral (LOVE); this time, it’s American Apparel’s Neon Orange. You’d typically expect neon orange to be more similar in colour to that of Neon Coral (errr… I can see this is going to get confusing! ), but this was an awesomely unexpected take on the shade. But lip/cheek stains generally don’t rock my world. 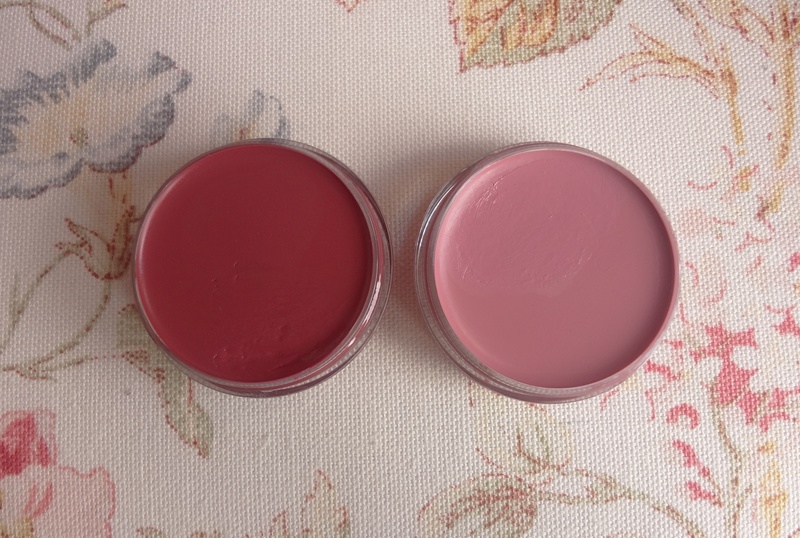 Let’s face it – the skin on your lips is extremely different in terms of texture, colour and just about everything else from that on the rest of your face, so for a product to work equally well for both areas seems a bit of a stretch. 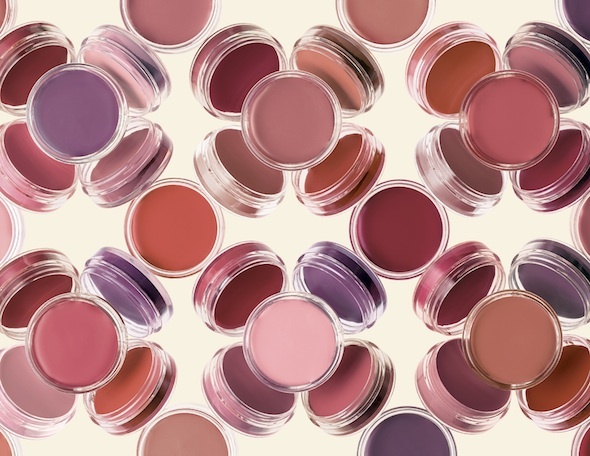 So although I liked the idea of MAC’s Casual Colours – lightweight pots of creamy colour for both lips and cheek – I can’t say I was expecting great things. In fact, I ended up loving these little multi-tasking lovelies a lot more than expected! 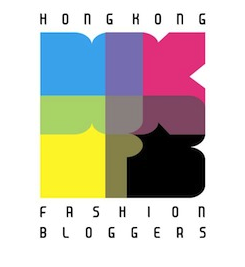 The whole aim of the collection is effortless easy make-up (I love MAC’s tagline for this, ‘Stilettos off! Hair down!’) so most of the Casual Colours come in neutral shades for perfecting that carefree au naturel look. Of course, the one I liked the best was the least au naturel in the bunch… well, I do always have to be different!